NEW - After 9/1 registration fee climbs to $50 for the first child and $30 for the second. • There will be a 5% discount on the tuition of a second child (sibling) in the family. • Yearly rates apply from September to June. • First Payment Is due either at registration or by September 1st, 2018. • If you are enrolling in less than 3 classes per week, you will be paying tuition in two (2) installments. Upon registration you will be charged 1/2 of your first payment, and prior to September 1st, you will be billed for the balance of the first payment. Your Second/Final payment will be due January 1st. • If you are enrolling in three (3) or more classes per week: you will be paying your Tuition in four (4) installments. The first payment is due upon enrollment, then November 1st, 2018; January 1st, 2019; & March 1st, 2019. 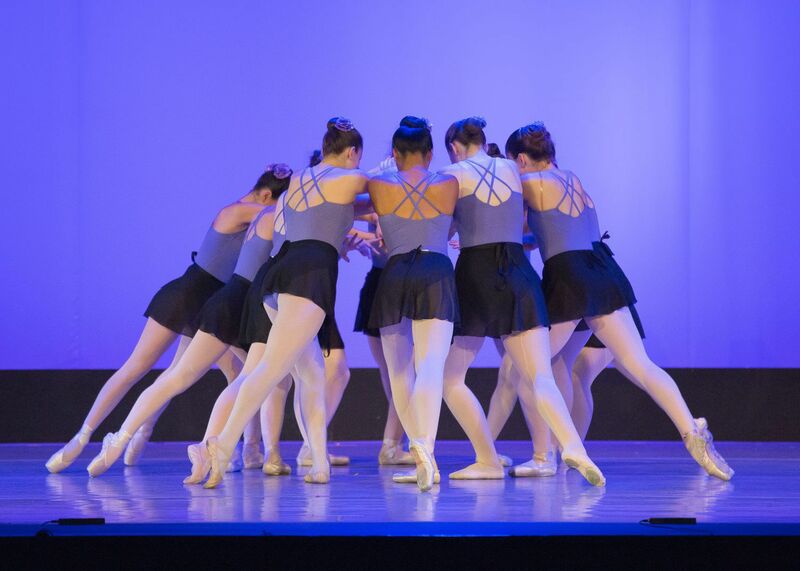 • Ask about our NEW All inclusive Company Member Packages: Ballet and Theater Dance Company are attainable by Artistic Director invitation and audition only. There will be an additional $250 annual fee for each half-hour pre-pointe and pointe class. There will be an additional $300 annual fee for each Repertory Company class. NOTE: CLASS CARDS EXPIRE 365 DAYS from purchase. Late Fee Policy: Any payments not received by the 10th of the month will be assessed a $30 Late fee. Further, any payment not received by the end of the month will incur an additional $20 late fee. week, you will be refunded tuition paid minus $100 and the cost of the classes taken. NO REFUNDS FOR CLASSES MISSED, WEATHER RELATED CANCELLATIONS or SCHOOL/OUTSIDE SHOWS or REHEARSALS.